The Andhra Pradesh Assembly on Thursday passed a Bill to provide five per cent reservation to the Kapu community. The Bill to provide five per cent quota in education and employment to Kapus, Ontari, Balija and Telaga sub-castes was passed unanimously by the House. In January, the Telugu Desam Party (TDP) government had announced it will give five per cent reservation to Kapus and its sub-castes out of 10 per cent quota announced by the Centre for the economically weaker sections (EWS). While making the announcement on January 22, Chief Minister N Chandrababu Naidu had said remaining 5 percent would be provided to economically weaker sections (EWS). The TDP in its election manifesto in 2014 had promised to include the Kapu community in the backward classes list and extend five per cent reservation in jobs and educational institutions. 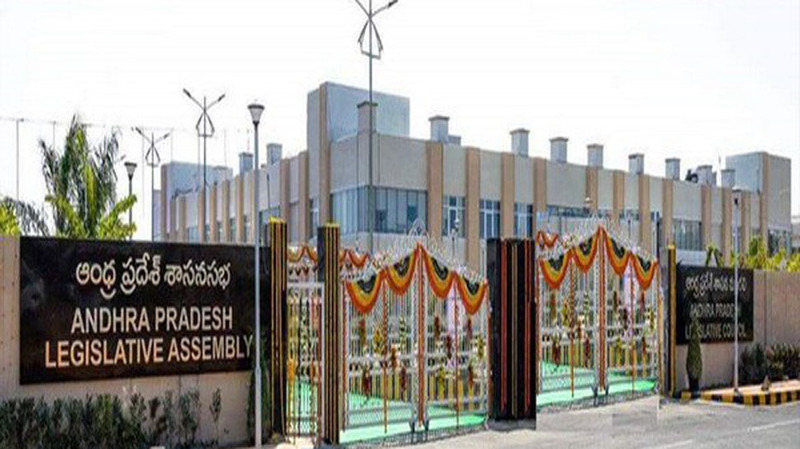 Following protests by the community led by former minister Mudragada Padmanabham over the delay in fulfilling the promise, the Assembly in December 2017 passed a Bill to provide five per cent reservation to Kapus and its three sub-castes. The Bill was subsequently forwarded to the Centre seeking a Constitutional amendment to include Kapus in the backward classes list under Schedule IX as the five per cent quota proposed is over and above the stipulated 50 per cent reservations for all categories. Naidu said since the Centre did not accept the state`s plea, they decided to provide quota to Kapus from 10 per cent announced by the Centre for EWS.